Truthfully, thanks to heart-stopping exclamations by smoke detectors every time we burn our toast, Americans are highly reluctant to install fire sprinkler systems. In our minds, we see the entire house soaked by relentless flush of water if we so much as scorch a pizza. The reality is vastly different. More on that in a moment. In the United States, seven people per day die in house fires. U.S. fire departments respond to 366,600 house fires every year, the majority of which are caused by cooking equipment. In spite of this, smoking is still the #1 cause of fire deaths. Almost half of these deaths could be prevented if homes had a fire sprinkler system. Remember our mental image of water gushing down from every ceiling in the house/ That simply isn’t true. Fire sprinkler heads are activated by fire-temperature heat. 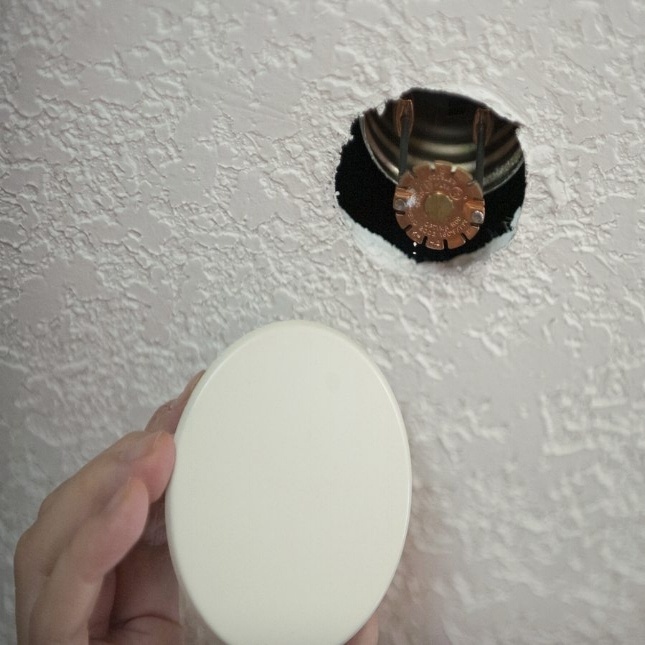 Each sprinkler head operates independently from the others, which means if fire breaks out in one room of your home, only the sprinkler head in that room will activate. The sprinklers will not go on in other rooms unless fire-temperature heat (about (180 degrees) is present. It takes 3 minutes for a house fire to destroy your whole house. It takes a fire sprinkler 1-½ minutes to put out a fire. Home fires also have a price tag: $45,000 per home fire, on average. The cost of water damage after a fire sprinkler system is activated averages $2,200. That means they pay for themselves twenty-fold if there is even one fire event. 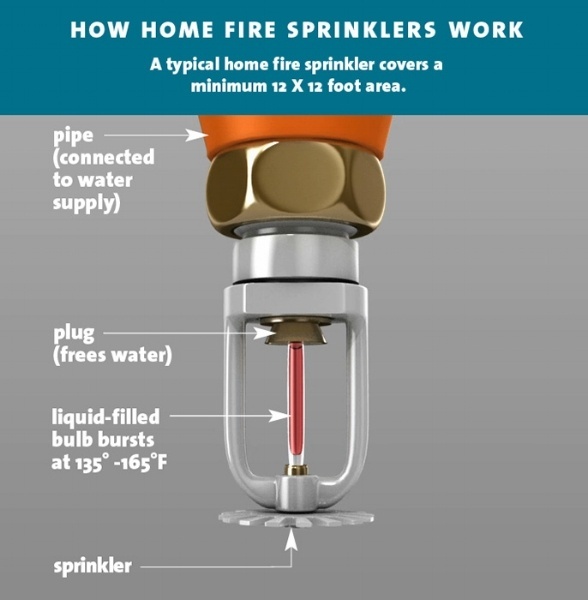 A home fire sprinkler system costs anywhere from $1-5 per square foot. The most economical way is to put the system in during the house building. Even those who are on well water instead of city water can have a designated tank for fire events, but the best way is to have the fire sprinkler system tied into the main. If your home is in a high risk situation, this might be a worthwhile investment. Some insurance companies offer discounts to customers who have these, somewhere around 5-10%. It’s worth doing some insurance shopping to find who offers this discount. Once a year, these systems need to be tested. No, you don’t need to turn them on to do this! You can follow these guidelines here. There isn’t any more maintenance required than that. On a final note, the sprinkler heads need to be treated with care. They should never be blocked or bumped. Children should not be allowed to play with them. They should be carefully protected during painting and other household activities. All in all, home fire sprinkler systems are an excellent alternative to waiting for the fire department, especially since some fire departments’ primary focus is to keep the fire from spreading to neighboring homes, which doesn’t make your burning home their priority.